Visit us at ISTE 2016! Check out the Benchmark Universe Quick Start Guide! Get involved in Earth Day 2016! Celebrate National Poetry Month with Benchmark Education! Meet Us at FETC 2016 - Booth 844! Good News for School and District Administrators Using Benchmark Universe! BEC Wins Five 2016 Teachers' Choice Awards! 5 Reasons to ACT Now! 3 Types of Teachers Who Use Benchmark Universe in Their Instruction—Which Group Are You In? What Really Gets Kids Reading? Welcome to the Benchmark Blog! 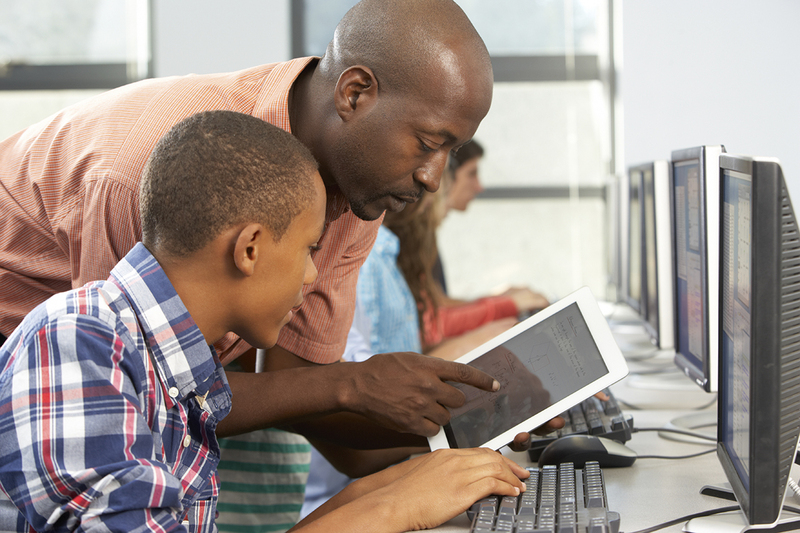 Technology skills are essential in today’s classroom. Here are some handy methods you can use to expand your digital repertoire immediately. Build excitement—invite a virtual guest speaker once or twice a month. Skype and Google Hangouts make it easy for students to interact with established experts, and you’ll be able to expand on key concepts while capitalizing on authentic listening-speaking experiences. Explore key learning strategies for your class—which strategies can you take to the next level by going digital? Taking close reading notes is a chore for many students; consider online practice for this fundamental skill, where students collaborate as they work on an assignment. Acquire e-books with this functionality built in (get a FREE trial subscription to BEC’s extensive interactive e-book library here), or use a tool like iAnnotate®. Utilize a tech tool in a different way—try something new or use a current favorite for a new purpose. Let kids know your plan—they’ll look forward to Tech Tuesdays! For example, boost grammar practice with NoRedInk.com. Launch Technology Tuesday Lunch to share the best strategies with colleagues. The power of video in the classroom is undeniable: it provides background knowledge for students who struggle, enables cross-text or cross-media analysis, challenges gifted students, and makes your content more relevant. Embed videos instructionally in whole-group lessons to customize learning, in small groups to differentiate, or for independent practice. If extreme weather is your topic, a video with a storm chaser in hot pursuit scores major instructional points with highly relevant content. Project-based learning engages students and creates rich opportunities for students to expand beyond classroom walls. To foster global reach, have students create podcasts or videos, and publish them via school websites or project-based learning sites—try YouTube! Gather student work in e-portfolios—you’ll find your students blogging and Tweeting about your projects and posting their work in no time (Edublogs Student Blogging Challenge: studentchallenge.edublogs.org; Tweet: #teach2blog). So many great ideas in your post! Love the Technology Tuesday idea! ConnectEd in an ever-changing global village makes technology even more relevant-it’s always about the process and not just the tools to help us grow as learners! Hi, Amy- Thanks for your comments! We’d love to hear your ideas on connecting educators via technology!